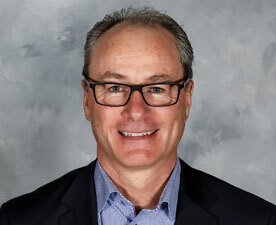 After serving as True North Sports + Entertainment’s President & CEO since its inception, Jim Ludlow transitioned to the role of President, TN Development in 2014, advancing and developing a variety of commercial and real estate developments, expanding the footprint of True North and adding to Winnipeg’s physical and business landscape. Born and raised in Winnipeg, Ludlow attended the University of Manitoba, earning a B.A., and then attended Osgoode Hall Law School in Toronto, where he received his law degree. Prior to joining True North in 1999, Ludlow was a partner at a senior Canadian law-firm, and previous to that was General Counsel and Vice-President of Corporate Development to a leading Canadian venture-capital firm. Ludlow is actively involved in the Winnipeg community, having served or currently serving as a member of the boards of the Royal Winnipeg Ballet, CentreVenture Development Corporation, Alpine Canada, the Winnipeg Art Gallery and the Walker Theatre Performing Arts Group Inc. He previously held the position of Honorary Colonel with 1 CFFTS at 17 Wing Winnipeg, and in 2011 was the recipient of the national award for Business Achievement at the Western Canada General Counsel Awards in Vancouver. Jim is the proud father of four children – Cedric, Charlie, Fiona, and Amanda.